Vietnam’s 13-year-old Hoang Pham Tra Mi won the Nuits Pianistiques Piano Contest, one of the main events at France’s Aix En Provence Music Festival last month. 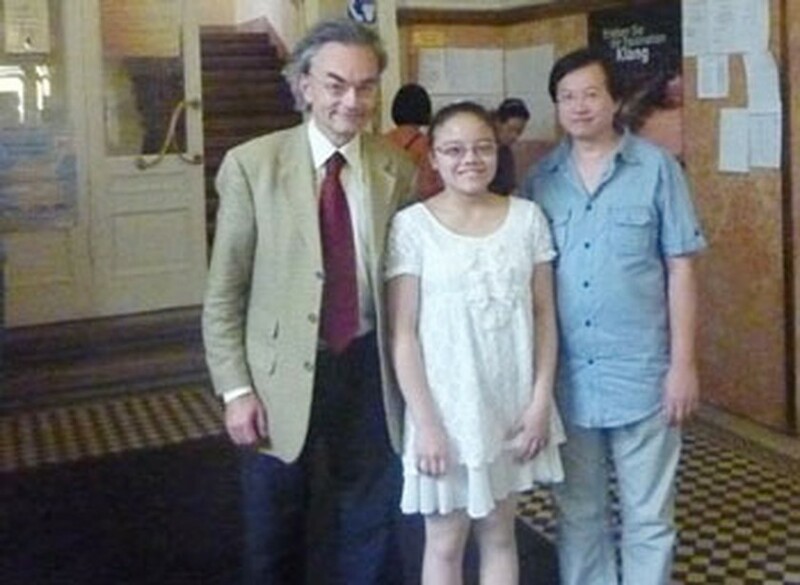 Hoang Pham Tra Mi (C) won the Nuits Pianistiques Piano Contest. On August 28 she won after playing four compositions by W. Mozart, J. Bach, and F. Liszt. Earlier she had finished second at the Rosaria Marciano, an international piano contest held from August 7 to 14 in Vienna, Austria. The competition attracted more than 100 contestants from the US, France, Hungary, and Russia, Japan, China, and South Korea, who qualified from a preliminary screening round based on video performances. 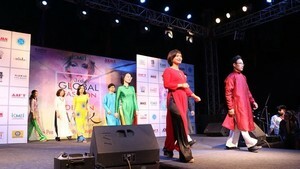 An eight-member international jury gave Mi the second prize in the 13-15 age group in which 15 competed. She played three compositions, again by the same illustrious trio. Mi, who studies at the Vietnam National Academy of Music in Hanoi, is not new to international contests. Last year she won a Gold Prize at the Festival and Competition Cheonan (South Korea) and the first prize at the inaugural International Chopin Piano Competition in Singapore. She was voted as one of the 20 top representatives of Vietnam's youth by the Central Youth Committee.